Sochi (Russia): With their World Cup winners absent in Russia, Germany's rising stars are relishing their chance to shine at the Confederations Cup. 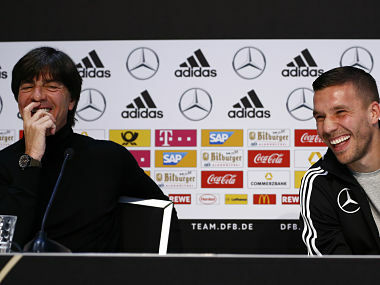 None of the side that won the 2014 World Cup final in Brazil is present in coach Joachim Loew's squad in Russia, with some having retired and others either injured or rested. After a season in a struggling Schalke team, central midfielder Leon Goretzka was one of those who seized his chance in Monday's opening 3-2 win over Australia. He scored Germany's third goal in the Group B game with a deft strike from Joshua Kimmich's pass having won the penalty which Julian Draxler converted for the second goal in Sochi. But it was not all completely smooth and Germany's young guns know there is still much room for improvement as they prepare to face Chile next on Thursday in Kazan. "We cannot allow so many mistakes against Chile and we need to be more efficient up front," said Bayern Munich's Kimmich, Germany's first-choice right-back at 22. Loew has warned his young charges that against Chile they must concentrate for "90, not 60 minutes" as they did against Australia and Goretzka agreed. "There were good and bad phases against Australia. 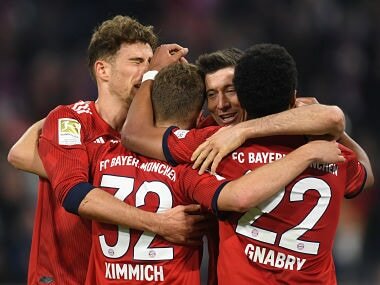 In some situations we showed we can play good football, but we lost our grip on the opponent in the last 20, 25 minutes," said Goretzka. "Chile have a different quality than Australia, they've got world-class players." With key midfielders Toni Kroos and Sami Khedira among those left at home, Goretzka is already stating his case for a place in the squad for next year's World Cup in Russia. "As a leader, you first of all have to put in a good performance," said the self-confident 22-year-old, who won his sixth cap against Australia. "That is the first step, then you can start to take care of others and bring them along. I am a 'work-in-progress', but that was definitely my most successful game so far." "I'm not so presumptuous that I'll now demand a leadership position. I will just try to help the team in the coming games." Loew wants to oversee the development of a handful of his players to world-class status in Russia in order to challenge his current first-choice stars for their places. Alongside Goretzka, winger Julian Brandt, 21, attacking midfielder Lars Stindl, 28, and Kimmich all shone as Germany survived the Socceroos' efforts to poach a late equaliser. Like Goretzka, Stindl scored his first senior international goal against Australia. 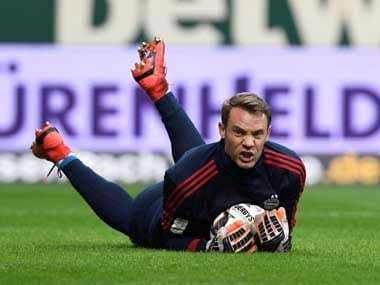 He said the new-look squad is already gelling despite just 10 days together. "We only had a couple of days to work on a few things and in the first half we put a lot of that into practice and controlled the game," said the Borussia Moenchengladbach man. Germany could have tucked away the Australians much earlier as Hoffenheim striker Sandro Wagner missed two great chances in the first half. His replacement, RB Leipzig's Timo Werner, then hit the post in the second half and Wagner says the Germans must take their chances against Copa America winners Chile. 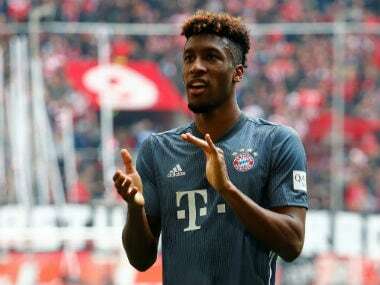 "We have to improve a lot, we only have a short time together, have to play with more concentration and take our chances," said Wagner, the eldest player in the Germany squad at 29.